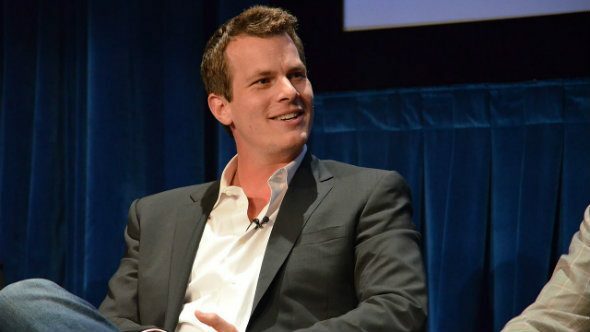 Jonathan Nolan – younger brother of filmmaker Christopher Nolan – has just launched a TV adaptation of Westworld on HBO, along with his wife, Lisa Joy. The show is about a futuristic theme park where people can go and live out their darkest fantasies on a bunch of androids which only exist serve a person’s every whim. Does this sound familiar? It should do, because they’re basically NPCs made (synthetic) flesh. There are some interesting comparisons to be drawn between Westworld and open-world games, so it’s no surprise videogames came up in a recent interview with the husband and wife duo. Our best sandbox games list is as close as you’ll get to Westworld. In an interview with Vice, the comparison between the show and open-world games was made, and Nolan answered with gusto. “A lot of interesting storytelling that’s happening right now is in videogames – which literally didn’t exist when Michael Crichton was writing the original [Westworld] film,” says Nolan. “Now, videogames are a bigger industry than film or TV. I’ve never worked in that industry, but we have friends who have, and I was fascinated by the concept of writing a story in which the protagonists’ actions aren’t part of the story. It’s refreshing to see a writer from film taking the medium so seriously and considering its unique challenges. Perhaps we can tempt him over to have a crack at it one day. That’s not to say he’s only interested in the writing, though – he’s also intrigued by in-game systems like AI routines. “I’m also fascinated by how non-player-characters in video games have their own lives,” he explains. “In Skyrim, when you walk into a village, you aren’t necessarily the most important person there. The NPCs have lives that happen whether you’re there or not. Later on in the interview, Nolan shares some thoughts on the violence and human nature. While not explicitly talking about videogames, a lot of it can be applied. Why not read the full interview with Nolan and Joy over at Vice.